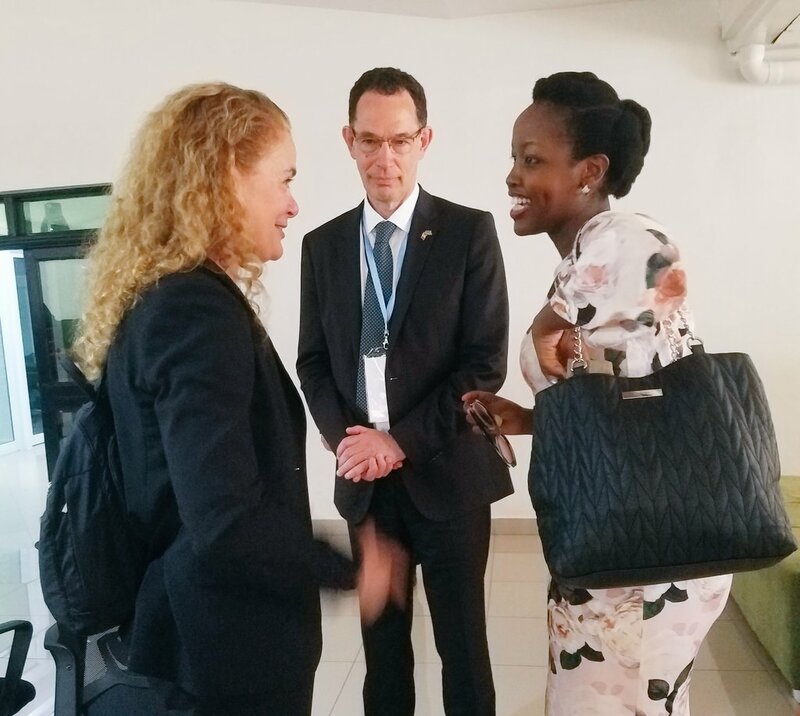 The Canada Governor General Julie Payette, has asked African scientists to make sure next astronauts comes from Africa, and use science in creating tangible solutions that will impact on society and government business. “There are few astronauts, that hail from Africa but not enough and this is an open field with no reason why someone from Rwanda, Tanzania or Ghana cannot go and fly in space at some point,” Payette said. Payette was shocked that there is no Kinyarwanda word for astronaut in the vocabulary and tasked young Rwandans to find one. 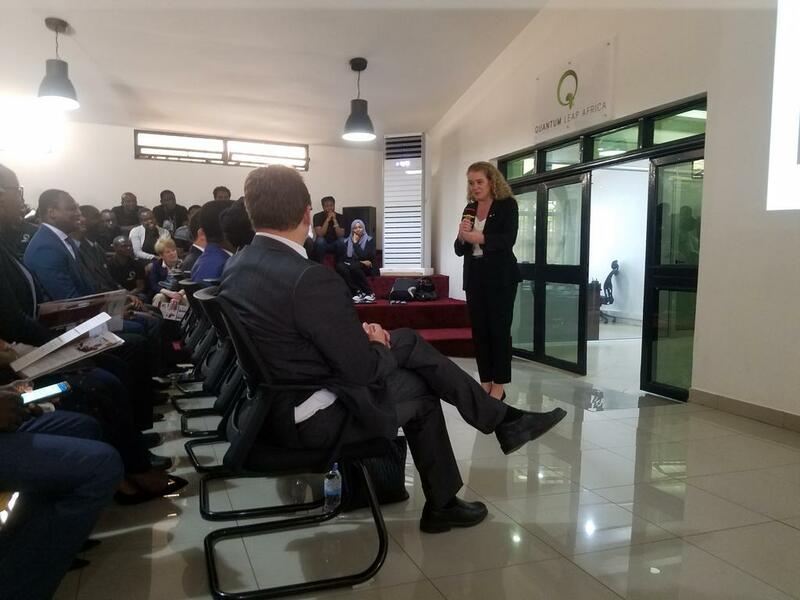 “This is the next thing that young Rwandans have to work on finding a vocabulary: We understand astronaut can be loosely translated to something like- “Space Swimmer,” Payette said. 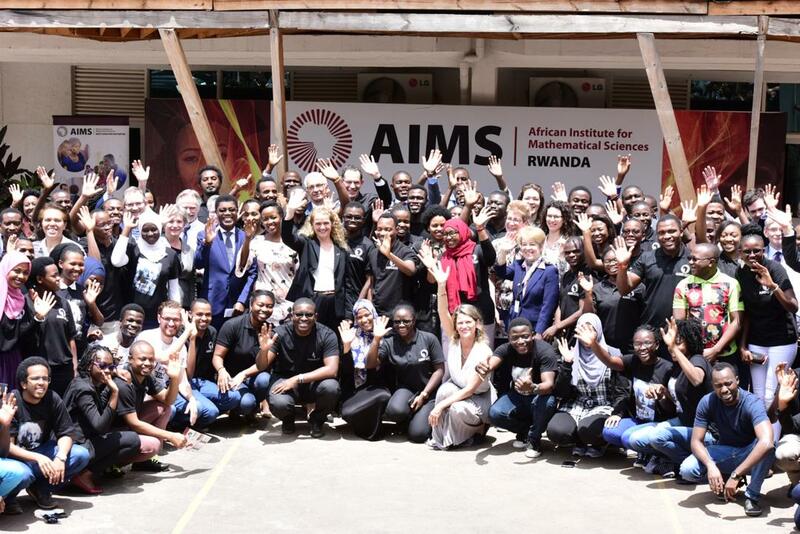 Payette was today giving an inspirational lecture to students at the African Institute for Mathematical Sciences (AIMS) Kigali campus on her trip to join Rwandans in marking the 25th genocide commemoration of genocide against Tutsi. Payette, who is a scientist, robotics engineer and the first Canadian astronaut to board the International Space Station, was asked by one of the student, what science should do to solve real world problems. “After AIMS most of us will go back and interact or be in government. So how do you find the transition from science to government?” Albert Shantwani, a mathematics student from DR Congo asked. “Actually it is not a transition. That is the mistake we make- that science is something outside and not compatible with anything else. Science is everywhere, it’s that critical thinking, problem solving mindset that is useful particularly in government,” Payette responded. To achieve effective impact of science in government, Payette said that there is need to build technical science culture, suggesting the scientists and engineers should spend one hour a year to inspire young persons into science. “We love what we do in science but we are not passionate to speak about it. The others are teacher selections- who should be confortable when choosing to teach science, mathematics,” she said. Payette was accompanied by three Canadian members of parliament, Lisa Stadelbauer, the Canadian ambassador to Rwanda, two Rwandan Canadians- Eloge Butera, a senior policy advisor to Minister of Public Safety, and Sandrine Murengerantwari, founder of Vivo Coure Foundation- which supports children to get free heart disease treatment.“Don’t you think we actually need more scientists and engineers, people who are trained to think in a very Cartesian way perhaps in government and all structure of society?” Payette asked. Jean Lebel, the president of International Development Research (IDRC), which also supports AIMS in budget funding to a tune of Can$ 46million annually, said that government is always looking for solution but science is the one that provides evidence, facts and solutions. “This reason why we have supported AIMS for the last ten years is because science is the future, and this future is bright,” Lebel said.